Dr. Girard, Dr. Briggs, Dr. Mooney and 9 Shippensburg University students attended the 2015 PACISE conference on April 10th and 11th. 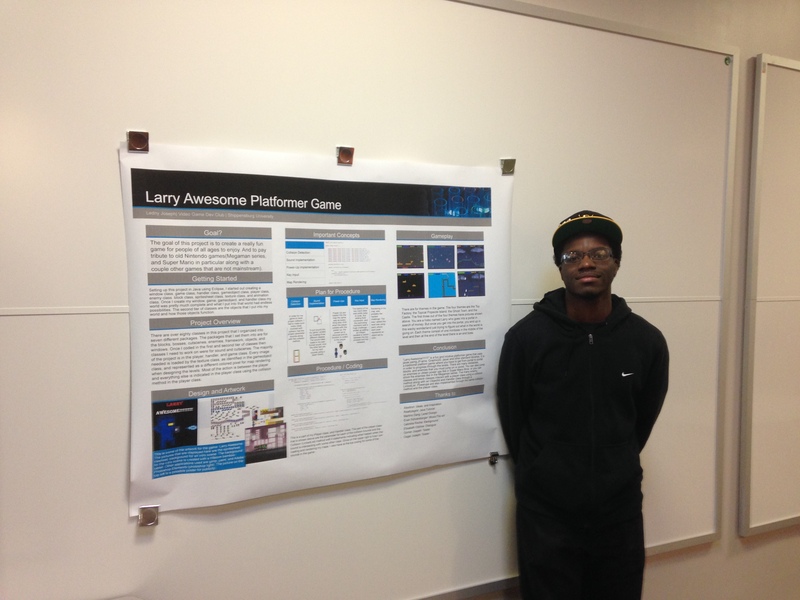 Dr. Girard along with Ledny Jones and Ian Keefer presented posters on their work from the Video Game Development club. 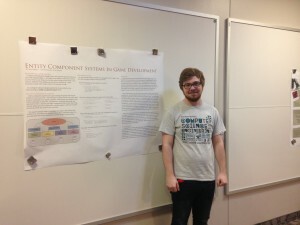 Dr. Girard’s poster was titled “A Procedural Content Generation System for Roads and Cities”, Ledny Jones’ poster was titled “Larry Awesome Platformer Game”, and Ian Keefer’s poster was titled “Entity Component Systems in Game Development”. Additionally, Tyler Dalious present a poster on work related to a research grant he is working on with Dr. Briggs, Tyler Garrett, Chris Jeffrey, and Josh Lowe. 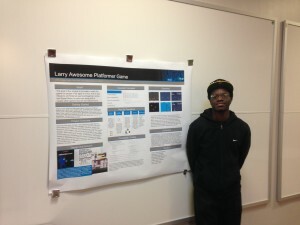 His poster was titled “Water Quality Sensor”. The key note speaker was Jesse Schell who talked about “Careers in Game Development: Past, Present, and Future”. He was the lead designer of Toon Town and presently runs the game company Schell Games (www.schellgames.com). Dr. Briggs, Nicholas Hydock, and Daniel Tigyer all present papers at the conference. Dr. Briggs presented the paper “Property Constraint Generation”, which also won best paper faculty paper award. Nicholas Hydock presented a paper based on work from the Video Game Development Club, called “Creating a Purposely Tedious Game: How to Design and Balance a Game that Abuses Procedural Generation”. Lastly, Daniel Tigyer presented the paper, “A New Chaos-Based Image-Encryption and Compression Algorithm: A Review” for which he won best the student paper award. 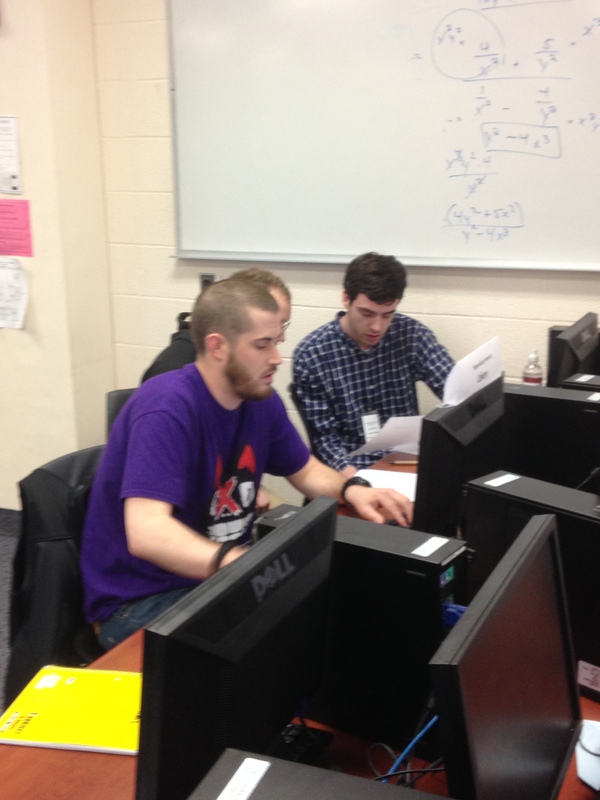 Douglas Rudolph, Raistlin Hess, and Kevin Dederer represented Shippensburg University’s Programming Team in the programming team competition. They successfully solved two problems and placed in the top half of the teams competing. Overall, it was a really cool conference enjoyed by all. The Programming Team in action!